It's a tale as old as time: Car people don't like bike people, bike people don't like car people, and everybody hates unicycle people. While American cities such as Portland and Minneapolis are steadily becoming bike-friendly, a number of cities abroad are already light years ahead. These five international destinations show how bike paths are paving the way to the future. 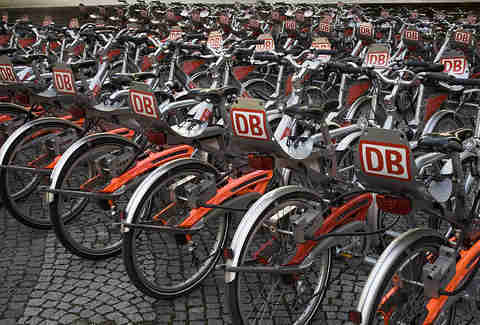 German transportation usually stirs images of BMWs and Porsches speeding down the autobahn, but Munich has branded itself as the country's "bicycle capital". With 47 streets dedicated solely to bike traffic, Bavaria's largest city even restricts speed limits to 19mph (30kph) on a number of thoroughfares to make cycling a safer proposition. Also, since drinking in public is legal, bierbikes combine sipping Weihenstephaner brews and two-wheeled cruises around town for a wobbly adventure. Bicycles outnumber cars five to one in Copenhagen, to the point where four out of every five residents has access to a bike. Demand is high enough that the city opened the first of its 28 planned Cycle Super Highways in 2012, providing cyclists with easy and safe routes to nearby municipalities. Train cars on the Copenhagen Metro even have special holders for riders to secure their bikes during their commute. 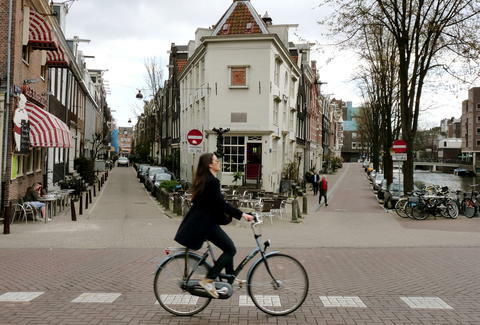 Amsterdam is often seen as the paragon of bike-friendly cities, and for good reason: The city's small size, narrow streets and strict regulations on car use make cycling the easiest way to get around. 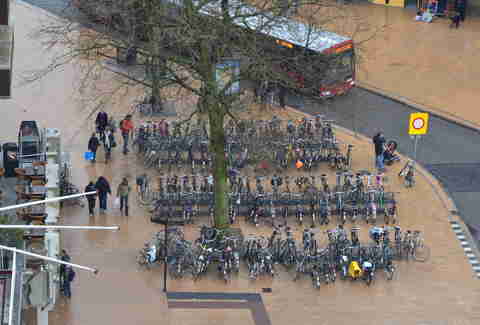 Like most bike cities, though, the Dutch capital suffers from an insufficient number of two-wheeled parking spaces. In fact, a whopping 12,000 to 15,000 discarded bikes are pulled from the city's canals every year. While Amsterdam usually gets the spotlight, Groningen's the hidden gem of the bike world. For every resident, Groningen has 1.5 bicycles, which makes sense because the center of town's basically off-limits to cars thanks to local regulations. It's a big college (aka party) town, too: One out of every five people here is a student, with most between the ages of 20 and 24. Oh, and some bars in the city center are open 24 hours a day. 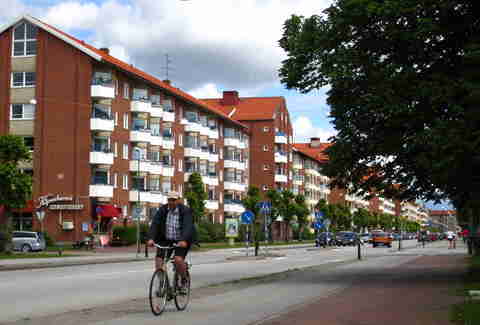 With more bike paths than any other Swedish city, Malmö caters to two-wheeled locomotion. To cut down on preventable road accidents, 28 of the city's intersections feature a sensor system that alerts drivers when cyclists are approaching – something New Yorkers would likely kill (or be killed) for. And if locals get a flat tire in Malmö, they can use any of the air pumps and bike tools publicly available along popular cycling routes. Gianni Jaccoma is an editorial assistant for Thrillist Travel. His bike has a bell AND a mirror on it, so he’s kind of a badass in that respect. Follow him on Twitter @gjaccoma.